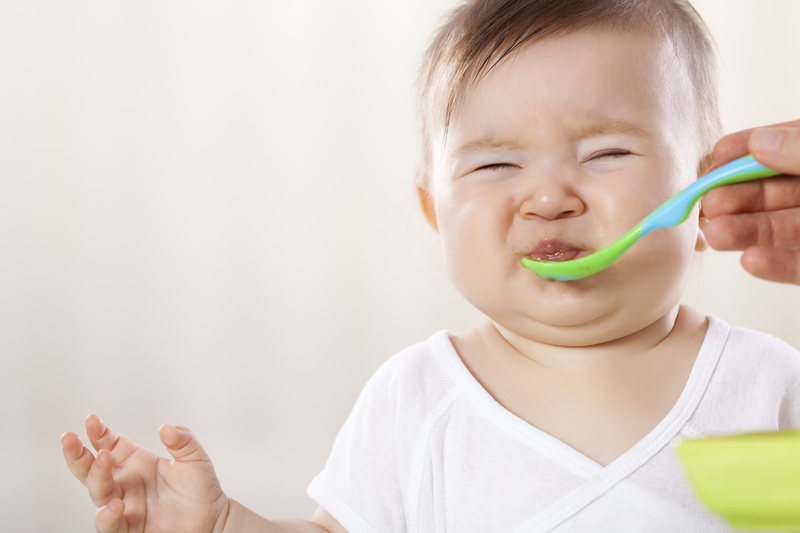 Babies, toddlers, and older children can develop feeding difficulties—ranging from general picky eating to severe feeding disorders—for a variety of reasons. As a speech-language pathologist who specializes in feeding challenges in children, I peer into a lot of little mouths. In my professional experience, these three “mouth offenders” can shape a child’s willingness to try new foods. Misaligned teeth: Crowded, missing or blocked teeth that haven’t erupted properly can impact a child’s ability to adequately chew food. The way the teeth contact each other might also indicate misalignment of the jaw. As a child’s face grows, the misalignment can worsen, affecting facial appearance and swallowing patterns. Kids who have trouble breaking down foods for comfortable swallowing might stick to softer foods, like macaroni and cheese, or meltables that blend easily with saliva, such as fish crackers. An anterior open bite—possibly caused by thumb, finger or pacifier sucking for prolonged periods—encourages the tongue to rest forward in the mouth. This forward posture might in turn create an immature swallowing pattern making certain foods difficult to propel back for swallowing. Once again, kids stick to certain foods because mechanically, they are just easier to eat. I suggest parents seek consultation with a pediatric dentist and a certified orofacial myologist. Enlarged tonsils: The palatine tonsils are positioned neatly on the left and right side of the oral pharynx, in the back of the throat, nestled by the faucial pillars. Infection or the typical pattern of gradual tonsillar tissue growth from early childhood to the pre-teen years can cause enlargement. The issue is when they become too large in the relative small space of a child’s throat, affecting nasal and oral breathing, quality of sleep, and swallowing comfort. Kids with larger tonsils tend to gag easily because the tonsils contact the posterior edges of the tongue and pharyngeal surfaces, triggering the gag reflex. When children manipulate the tongue while eating the tonsillar tissue may also shift, once again eliciting a gag. Some children will gag first and then spit out the food. I often observe children with large tonsils attempt to spit out an offending food and gag in the process. I suspect the forward movement of the tongue shifting the enlarged tonsillar tissue elicits the gag reflex. Gagging isn’t a pleasant experience and children quickly learn what foods to avoid and limit their food repertoire to what’s comfortable, predictable and safe. I suggest consultation with the child’s pediatrician or a pediatric otolaryngologist. Tethered oral tissues: Tongue ties (ankyloglossia), lip ties and buccal ties can impede tongue, jaw and lip function. When children can’t move these oral structures in a functional manner, problems can occur during various stages of feeding development. Ties can hinder a baby’s ability to breast and bottle feed, advance to solid foods or learn to eat a variety of foods in later childhood. On sharing my findings with a child’s caregivers and primary care physician, a pediatric dentist, oral surgeon or ENT will determine next steps. The Tongue Was Involved, But What Was the Trouble? Turning Pinterest Boards Into A Therapy Activity! I’d like to see the evidence here. I also noticed that this needs copy editing. “Effecting” is not used correctly. Honored – such a fan of all you do Robyn, to help kids learn to love food! Thank you for an extremely worthwhile blog post and for sharing your expertise, Melanie! I appreciate your continued efforts to move our profession forward. Thank you Nichole! By the way, your article in the ASHA Leader this month was superb! Thank you for sharing your knowledge and compassion! You’ve managed to add to some mysteries I have when dealing with children with feeding difficulties. Structural anomaly should never be undermined. Thank you.